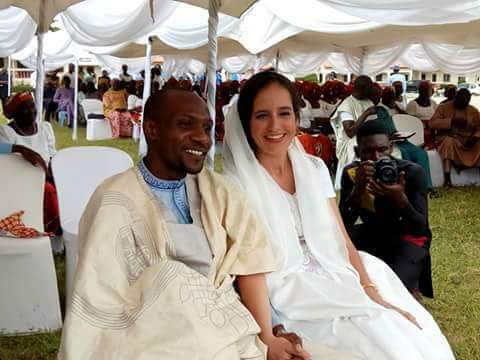 Nigerian man with the name, Maigalisa Yohanna, and his American bride, Danielle Villasana, on Saturday, August 4, 2018, surprised many of their guests after storming their wedding reception in a tricycle in Yola, Adamawa. 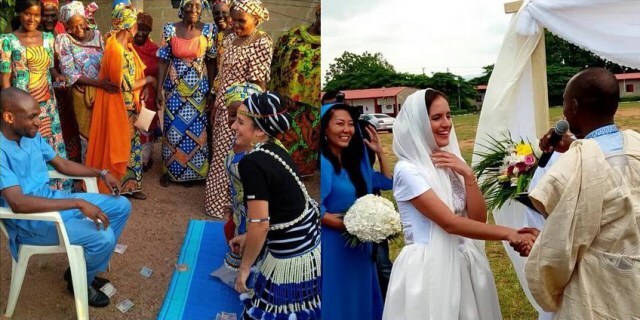 Their ceremony definitely would have been the talk of town and it’s all thanks to its uniqueness – not only because of the fact that they came into their own ceremony in a tricycle but also because of the fact that a white lady came in a keke to her own wedding. Now that’s not something you get to see everyday.